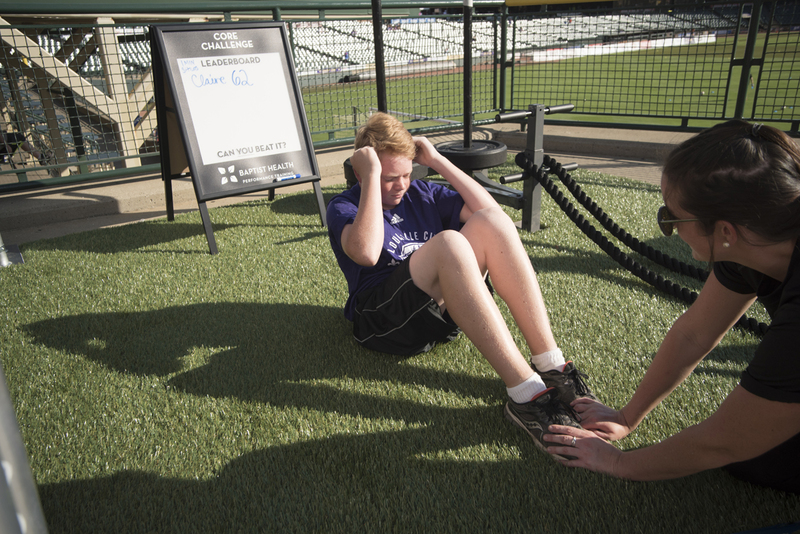 What makes Baptist Health Performance Training special is the incredible staff it employs. 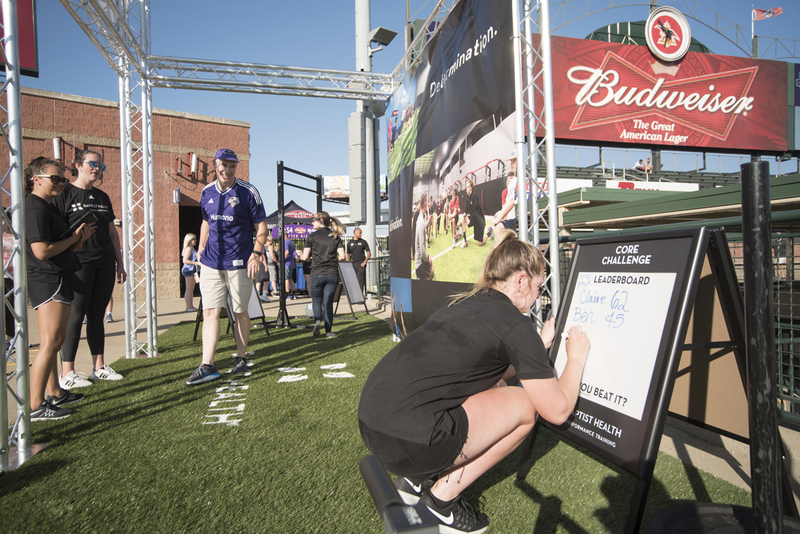 Civitas set out to create an environment that was memorable, approachable, and gave passersby the chance to work with trainers one-on-one. 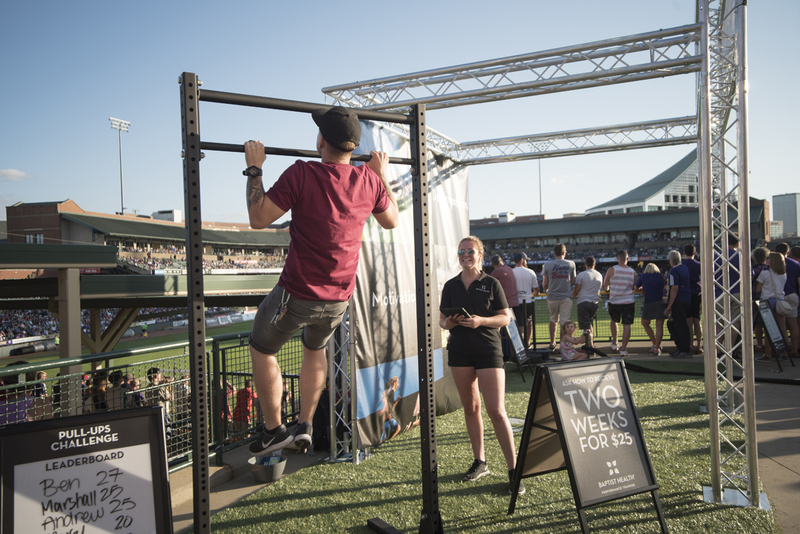 Modular Fitness Challenge: Three fitness challenges—battle ropes, a pull-up bar, and core challenges—were designed to motivate and inspire action for those who were looking to take their fitness performance to the next level. 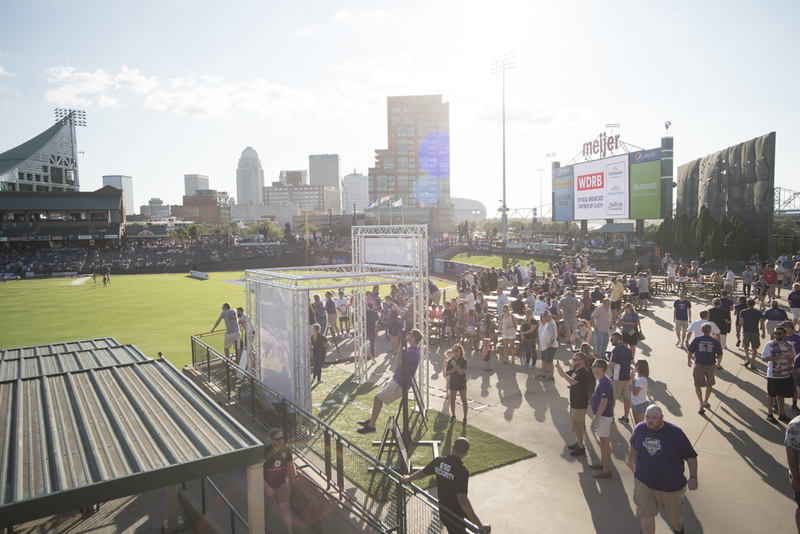 This activation toured festivals and sporting events across Kentucky. 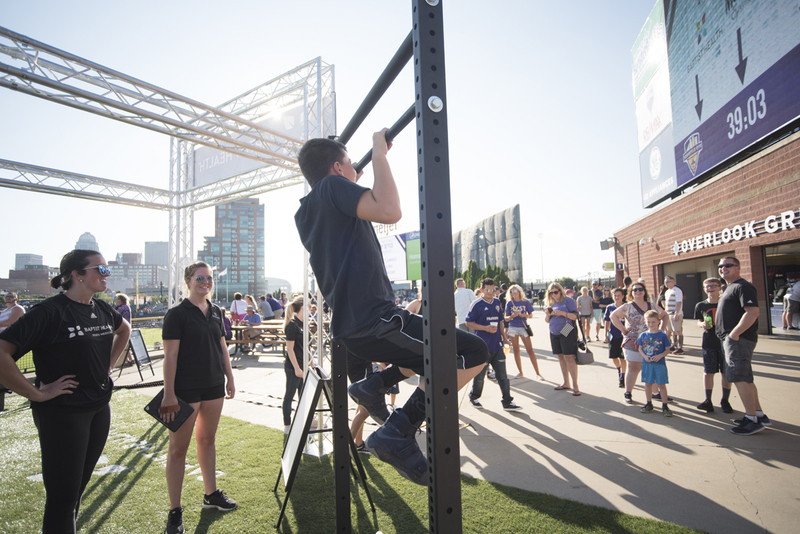 Giveaways: Brand Ambassadors encouraged passersby to compete in fitness challenges to secure the highest score on the leaderboard. 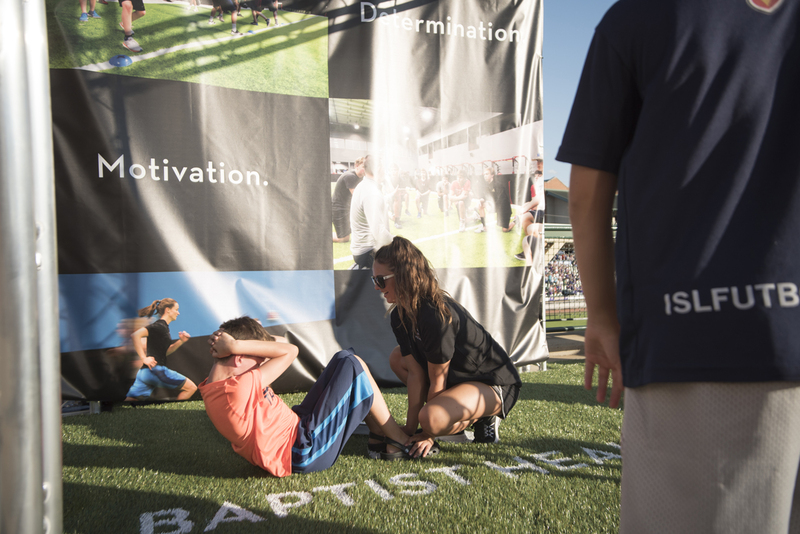 All participants were awarded with giveaways, with 3,000+ items handed out across all events. 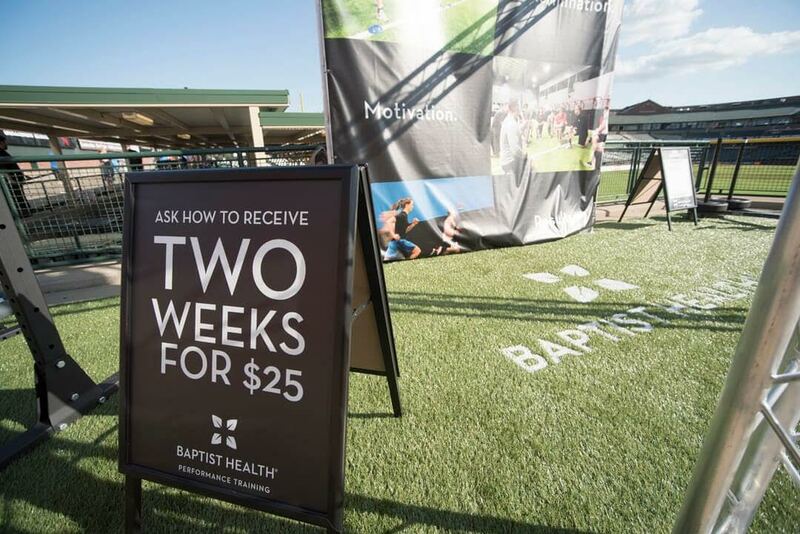 Data Capture: After a stint of exercise, participants entered their emails for more information on how Baptist Health is improving wellness in their community.